AMD (Age related macular degeneration) is a condition which causes a slow, painless deterioration in central vision. The condition is becoming one of the leading causes of blindness in the over 55s and while there is no cure as such, supplements containing carotenoids such as lutein , zeaxanthin and mesa-zeaxanthin are recommended. 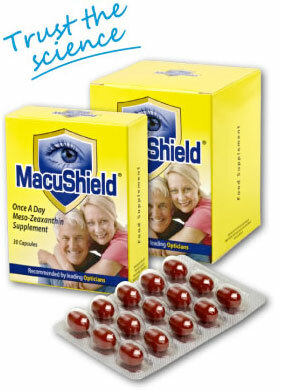 At Infocus Opticians we stock Lutein Omega-3 as well as Macushield. Taking these supplements has been shown to help preserve existing vision and in some cases actually improve it.